Hundreds of thousands of our neighbours pay local taxes and use local services, but have no say in who represents them. Photo by asianz from the Torontoist Flickr Pool. 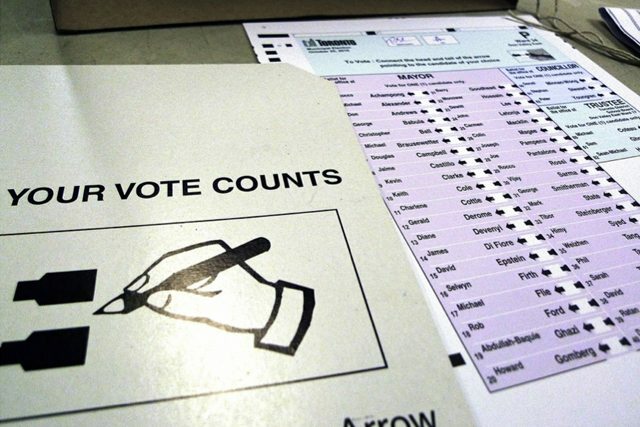 Just over a week ago, a city council committee decided to explore “the opportunity to have permanent residents in Toronto be given the right to vote in municipal elections.” Permanent resident status is a precursor to obtaining Canadian citizenship for immigrants, and citizenship is a prerequisite for voting, even at the municipal level. City staff will present a report later this spring examining whether that should change. 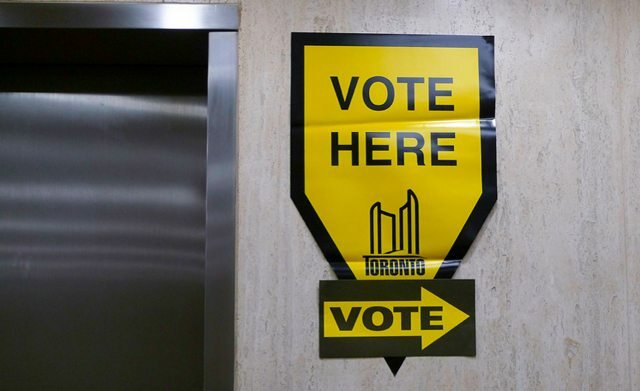 In 2006, Ryerson municipal affairs expert Myer Siemiatycki estimated that at least 250,000 Toronto residents, or 16 per cent of the city’s population, could not vote in municipal elections because they were not citizens [PDF]. He describes this as a “lost city” of residents—who pay municipal taxes through their mortgages or rent, and contribute to services and programs through various user fees—but have no say in electing the mayor, city council, and school board trustees. We have much to gain from giving permanent residents a direct say in Toronto’s election. Those who use and pay for services have a right to hold their relevant elected officials to account. It is important for these residents to feel as welcome to shape programs and services as any citizen. Non-citizen residents can do this through advocacy, public consultations, and many other general forms of engagement, but with voting comes a more powerful kind of inclusion, symbolic and otherwise. Extending the vote empowers those who qualify to proudly identify themselves as fully engaged participants in civic life, not merely ratepayers or service users. Having more Torontonians taking up this responsibility is a good thing for our politics. In Thorncliffe Park, a central east Toronto neighbourhood, one in three people is a child between five and 13 years of age. Thorncliffe is also home to immigrants from South America, South Asia, and the Middle East. But parents of children in Thorncliffe can’t choose their school board trustee simply because they are not citizens. Yes, politicians in these neighbourhoods are charged with representing everyone, non-voting residents included. But at election time, their decisions not to canvas houses, apartment buildings, and areas with high non-citizen populations tells those residents that their opinions matter less because they are not the ones going to the polling stations. Canada has one of the highest rates of naturalization, or turning immigrants into citizens, in the world. Statistics Canada found in 2006 that four in five Canadian immigrants had become citizens, and that figure was on the rise. Some see this as an argument against extending the franchise to non-citizens: if most immigrants will become citizens anyway, why not wait until they have to give them the vote? But this is backwards. Since we know the vast majority of immigrants will pursue and obtain citizenship, delaying what in most cases will happen anyway is an artificial barrier to more robust participation in civic life. Voting is one of the privileges of citizenship, and some worry that we may water down the value of citizenship by conferring voting rights at any level before it has been obtained. But up until the late 1980s in Ontario, non-citizens who were British subjects were allowed to vote in municipal (but not provincial or federal) elections, and naturalization rates continued to soar. Cities in countries with nowhere near Canada’s percentage of immigrants—in Norway, Columbia, Ireland, Israel, South Korea, the United Kingdom, and many more—also allow non-citizens to vote in local elections. We have many models to follow and lessons to learn in investigating the change for Toronto. It’s also important to view this proposal specifically in the local context. Municipal government is the most accessible level of representation, and it manages the programs and services most of us access in day-to-day life most often: parks, libraries, water, waste services, pubic transit, and emergency services. Citizenship matters, but it need not dictate one’s ability to choose local representatives for local issues. Permanent residents have already cleared several hurdles in the process of their immigration, and we have no reason to think they will be less inclined to pursue full-fledged citizenship if they get a say in who speaks for them at City Hall. Toronto is almost peerless in its ability to attract people from all over the world—this is one of our great strengths. Translating that appeal into inclusion and trust after people arrive is an ongoing task, and extending the local vote is one more way to solidify our storied diversity. Voting alone is no panacea for city building, but in the case of Toronto’s hundreds of thousands of non-citizens, most of whom are destined to become citizens, it’s an overdue addition to our local integration efforts. Desmond Cole is the former project coordinator of I Vote Toronto, a campaign to extend the municipal vote to Toronto’s permanent residents.